China's Zhejiang Geely Holding Group, owner of Volvo Car Corp., is interested in buying General Motors Co.'s assembly plant in Antwerp, Belgium, a news agency reported. Geely owner Li Shufu met local politicians on Wednesday to discuss whether incentives would be available for the purchase. "I would like to look at the possibilities that Antwerp offers," the Belgian news agency Belga quoted Shufu as saying. GM is closing the Antwerp factory, which makes Astra cars, as part of a major restructuring plan to return its money-losing Opel unit to profit. 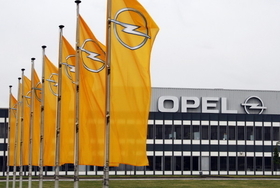 On Monday, Opel said Antwerp will close by the end of the year after the company had failed to find a suitable buyer. “None of the potential investors was able to come forward with a sustainable business concept for the plant,” it said. Volvo has a factory in Ghent, Belgium.